See also: The majesty of sinking into shark-infested waters. There just aren't enough sailing games these days, y'all. How am I supposed to feel the salty breeze against my virtual face or feel the thrill of boarding an enemy vessel when the last game to truly focus on the beauty of sea-based exploration was a 2005 remake of Sid Meier's Pirates!, a game made in 1987? How sad is it that in the year 2015, I hardly even give the threat of scurvy a second thought? Luckily for us, Windward, one of the latest products on Steam to break out of the doldrums of Early Access, is here to hopefully bring both the fear and excitement of the Age of Sail back to our computer screens. The game, released on May 12th, is a mix of ship-to-ship combat, trading, and old-fashioned exploration. The worlds of Windward are procedurally generated and unique to each campaign, meaning that you and up to three friends have an infinite supply of ocean to explore with your caravels or schooners or what have you. According to the developer, the game is built from the ground up to be played in co-op. To further this point, Windward's store page contains an option to purchase a 4-pack of copies, netting you a free copy for the price of three. 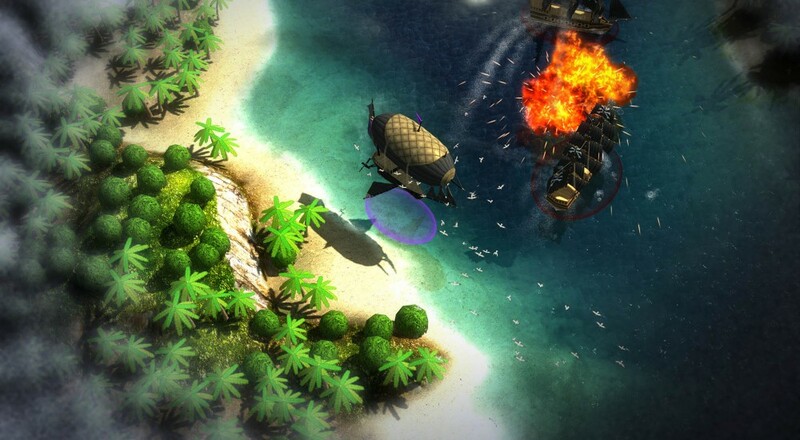 Windward also contains a smattering of RPG-esque choices, ranging from talents and abilities to choice of ship. Any privateer worth his weight in doubloons knows that this means the game's practically begging you to make a fearsome foursome of unique, tricked out Galleons to terrorize the waves with. If it were up to me, I'd throw a sweet statue of Geddy Lee on the bow; really let people know that I mean business. Page created in 0.9998 seconds.